Welcome to The Lin Research Group in the School of Materials Science and Engineering at Georgia Institute of Technology. Our research focuses on nanostructured functional materials (NanoFM). 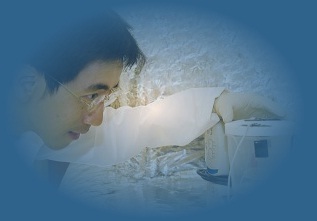 Major research thrusts in this area include materials for energy conversion and energy storage; wholly-soft polymeric materials synthesis for novel nanocomposites design; wholly-hard inorganic materials synthesis for novel nanocomposites design; novel hybrid (hard/soft) nanocomposite materials design and synthesis; materials characterization; and nanoscale assembly. 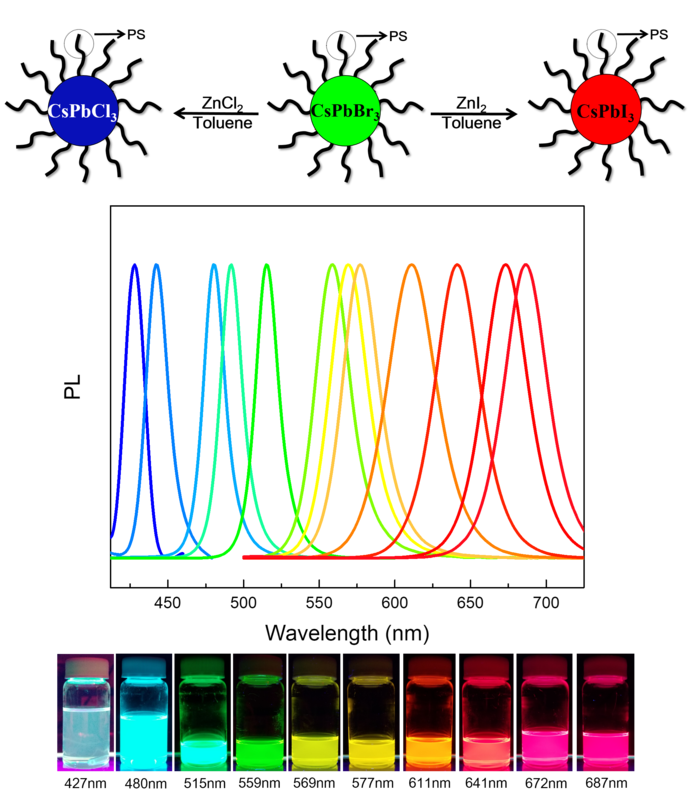 An extensive list of materials currently under investigation includes polymer-based nanocomposites, block copolymers, polymer blends, conjugated polymers, quantum dots (rods, tetrapods, wires), magnetic nanocrystals, metallic nanocrystals, semiconductor metal oxide nanocrystals, ferroelectric nanocrystals, multiferroic nanocrystals, upconversion nanocrystals, thermoelectric nanocrystals, core/shell nanoparticles (nanorods), hollow nanocrystals, Janus nanocrystals, nanopores, nanotubes, hierarchically structured and assembled materials, and semiconductor organic-inorganic nanohybrids. M. He, B. Li, X. Cui, B. Jiang, Y. He, Y. Chen, D. O’Neil, P. Szymanski, M. A. EI-Sayed, J. Huang, and Z. Lin*, "Meniscus-Assisted Solution Printing of Large-Grained Perovskite Films for High-Efficiency Solar Cells”, Nature Communications. 8, 16045 (2017).[PDF]. Y. Chen, D. Yang, Y. J. Yoon, X. Pang, Z. Wang, J. Jung, Y. He, Y. W. Harn, M. He, S. Zhang, G. Zhang*, and Z. Lin*, "Hairy Uniform Permanently-Ligated Hollow Nanoparticles with Precise Dimension Control and Tunable Optical Properties”, Journal of the American Chemical Society. 139, 12956 (2017).[PDF]. X. Pang, Y. He, J. Jung, and Z. Lin*, "1D Nanocrystals with Precisely Controlled Dimension, Composition and Architecture”, Science. 353, 1268 (2016). [Abstract][Reprint][Full text]. H. Xu, Y. Xu, X. Pang, Y. He, J. Jung, H. Xia, and Z. Lin*, "A general route to nanocrystal kebabs periodically assembled on stretched flexible polymer shish”, Science Advances. 1, e1500025 (2015).[PDF]. 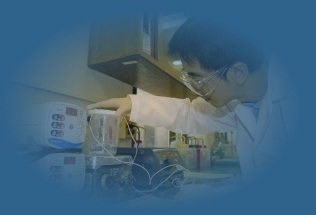 B. Jiang, X. Pang, B. Li, and Z. Lin*, "Organic-inorganic nanocomposites via placing monodisperse ferroelectric nanocrystals in direct and permanent connect with ferroelectric polymers”, Journal of the American Chemical Society. 137, 11760 (2015).[PDF]. 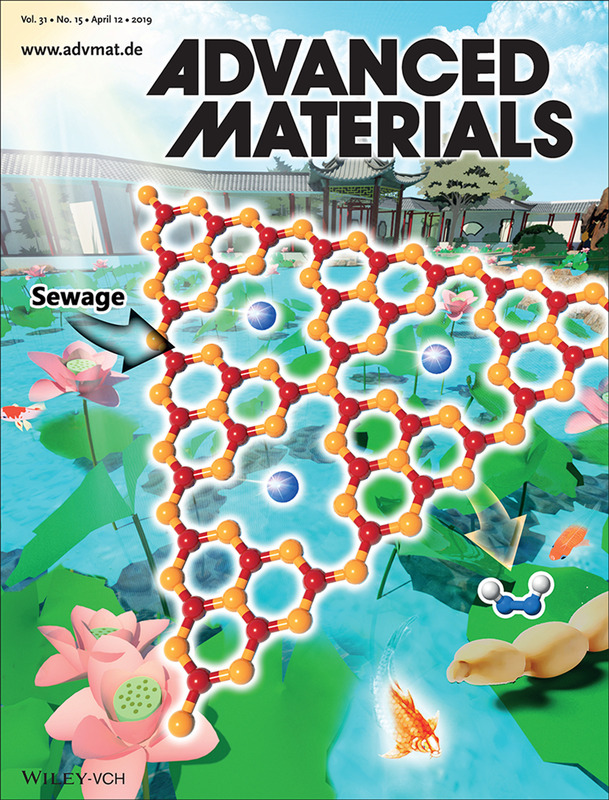 April 2019: Yuekun’s paper, entitled "Crafting mussel-inspired metal nanoparticle-decorated ultrathin graphitic carbon nitride for the degradation of chemical pollutants and production of chemical resources", was published in Advanced Materials , and featured on the Cover. March 2019: We welcome new visiting scholar Yan Yan in joining our group. 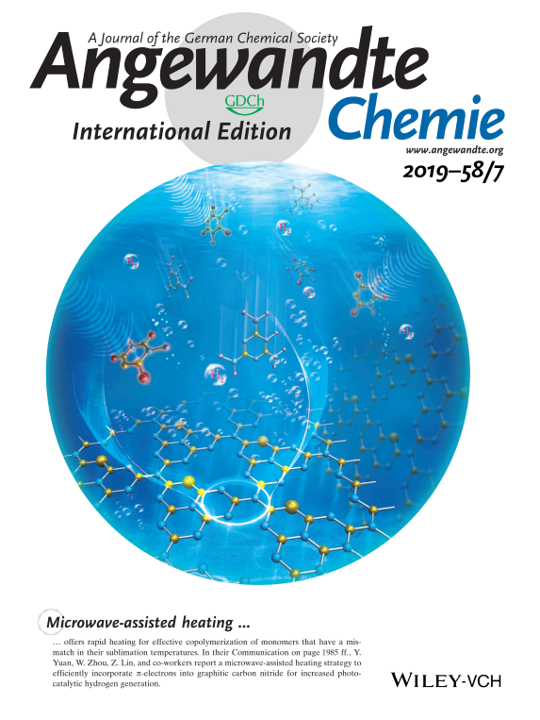 February 2019: Yupeng’s paper, entitled " Achieving Efficient Incorporation of π‐Electrons into Graphitic Carbon Nitride for Markedly Improved Hydrogen Generation", was published in Angewandte Chemie International Edition . It was rated as Very Important Paper (VIP), and featured on the Cover. January 2019: We welcome new visiting student Songru Jia and visiting scholar Hongwei Mi in joining our group. January 2019: Beibei published a paper entitled “Barium Titanate at the Nanoscale: Controlled Synthesis and Dielectric and Ferroelectric Properties” in Chemical Society Reviews.